The original Skunk genetics are the solid foundation of many successful cannabis strains of today. Skunk is a strain that incorporates a wide range of genetics from different regions like Afghanistan, Mexico, and Colombia. Dutch breeders used Skunk genetics since the 1970’s. Ever since, Skunk managed to convince many growers throughout the world with simplicity, reliability, and high yields. All these basic growing traits are excellent for growers but potency and flavours are very important, too. Not all cannabis strains are capable of satisfying growers and stoners at the same time but Zambeza’s Skunk surely gets the job done! Zambeza’s Skunk is highly efficient when it comes to bud production, needs a flowering period of approximately 55 days, and doesn’t exceed heights of 80-110cm. Growers with experience will have a very good chance to achieve yields of up to 550-600g/m² indoors, and 550-650g per plant, in a greenhouse environment or outdoors. The genetics of Skunk are highly stable and adapted very well to the European climates. Outdoor growers can expect plants that are 150-200cm tall, and harvests of 550-650g per plant. The productiveness is convincing. Some people suspect Skunk to be very close to a commercial crop that grows in large dimensions throughout Europe. Zambeza Seeds can neither confirm nor deny these rumors. Flavours and potency are never things that Zambeza’s customers need to worry about. This is also valid for our classic Skunk. Maybe the taste can be most accurately described by making up a word for it: “skunky”. It’s basically a blend of sweet and spicy aromas that melt into a pungent and extra-smelly flavour. Hitting some Skunk in public naturally results in a cloud of smoke that make heads of non-smokers shake disparagingly. THC levels are not completely over the top with 17% but this unique blend of sativa and indica genetics ensures a very strong high that is uplifting but also physically relaxing. Zambeza’s version of Skunk provides a great hybrid effect that is also known to induce pleasant feelings of euphoria. The decision to grow Skunk will always be a good one. 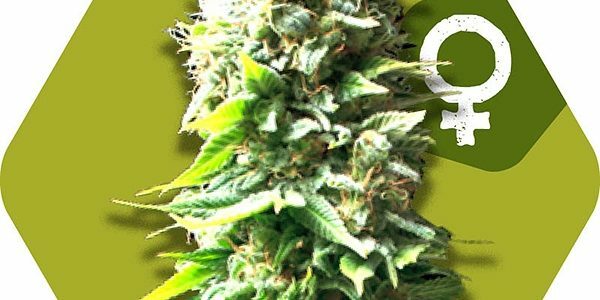 There are many reasons why both expert cultivators and novice growers can consider Skunk for their next grow. Breeders of Zambeza Seeds only used high-performance lineages of Skunk, to be able to create something that matches the high demands of our European customers. Countless years of breeding experience, together with deep roots in the Netherlands, puts Zambeza Seeds in the position to offer you a Skunk variety of exceptional quality. Try for yourself, and you will not be disappointed! This entry was posted in Zambeza seeds Feminised. Bookmark the permalink.